Chipchase is perhaps the world’s most admired expert in “human-centered design”: Knowing how people use their gadgets, and how to design for them. 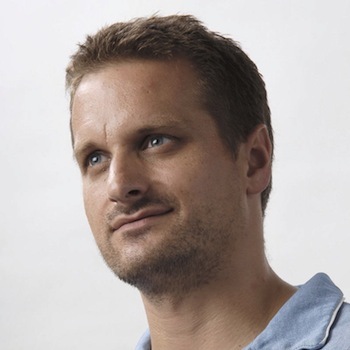 Frog Design–already one of the most influential design firms in the world–has just caught a very big fish: Jan Chipchase, formerly Nokia’s chief usability researcher, is leaving the Finnish firm and joining Frog as Executive Creative Director of Global Insights. Chipchase will be based in Shanghai, and that tells you a lot about both what Frog is hoping to do and what Chipchase has done in the past. At Nokia, Chipchase was at the leading edge of Nokia’s overarching strategy: They’re about volume not price premium, and as such, they’ve growth in the last few years has been predicated on selling cell phones to the few populations in the world that don’t have them already. Namely, the developing world, in countries all across Asia and Africa. To support that, Chipchase flew all over the world for Nokia, watching how people used cell phones. And what he’s discovered has been richer than anything you could ever glean behind a desk. For example, he discovered that in Africa, people use cell phone minutes as a kind of banking system, transferring calling card minutes to others, who redeem them for cash. In India, he discovered that cell phones are actually being used to dissolve indentured servitude: Housekeepers with cell phones can now book out their services, rather than relying on the whims of a single household. Obviously, you can’t really translate those findings directly into the design of a tiny brick phone. But Chipchase’s job at Nokia was to funnel all his insights about user needs into cell phone design. It’s not a stretch to say he’s probably the world’s most admired practitioner of human-centered design research. Presumably, since he’ll be based in Shanghai for Frog, he’ll be doing something very similar–opening new markets for Frog’s clients, by learning how needs differ across cultures. For more about Chipchase’s work, read this superb profile from The New York Times Magazine, from 2008.